Looking to buy a unique gift any sports enthusiast or history buff would love? 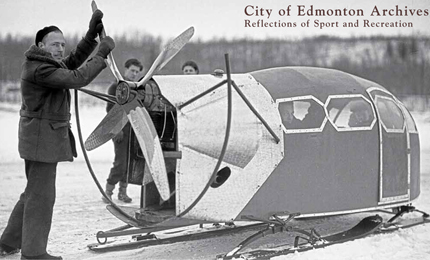 The 2014 Reflections of Sport & Recreation calendar features photos gathered exclusively from the City of Edmonton Archives collection. This calendar highlights many of the unique people, stories and events related to sports and recreation in Edmonton's history. On sale now for $20 (while supplies last).